Inspiration can come from anywhere…visiting a new place, a life change, or a new perspective. 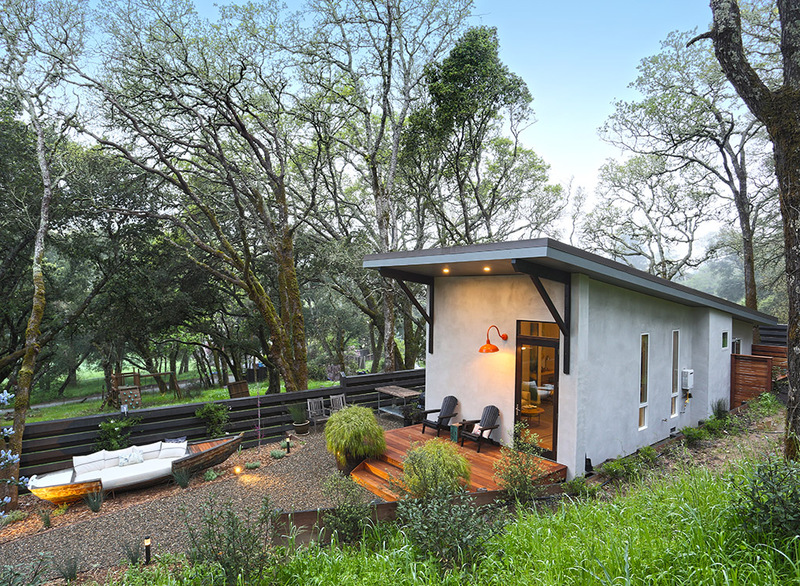 Sargam Griffin shares her inspiration with the public through her Art Shed in Healdsburg. Ms. Griffin conceived Art Shed to share her work in an environment that is a reflection of her personal inspiration. She designed the structure, perhaps the area’s first purpose-built mixed guest-gallery space of its type. A whimsical art boat installation greets each visitor. The home’s exterior is simple —hard and angular, its light gray surface is conversely disrupted with a bright orange lantern. The interior has none of the exterior’s austerity. It’s warm and inviting, with weathered gray floors, concrete surfaces and white cabinetry, all bathed in natural light. The design maximizes long, flat walls, open floors, and high ceilings allowing for the large-scale artwork. The light fixtures are subtle, the window frames and door handles minimalist. An outdoor shower beckons weary travelers to commune with nature. 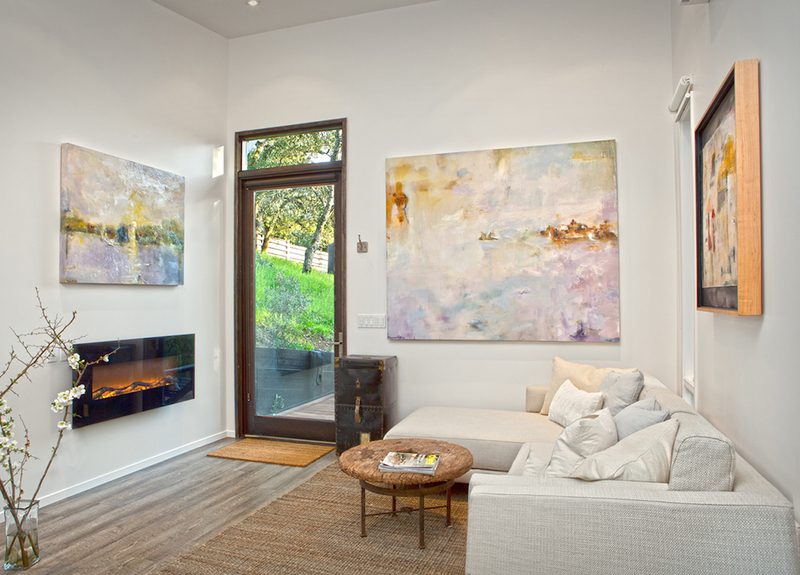 The gallery effect is precise, with the interior oriented to deliver alternative perspectives of the featured artwork. Guests can see Ms. Griffin’s work up close and also from a distance within the space. Ms. Griffin’s artwork stands out in stark relief. 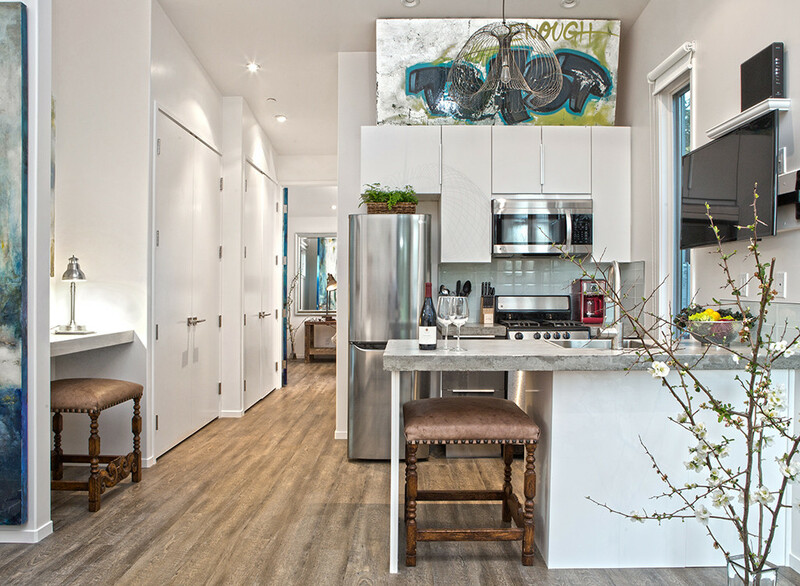 Despite the size, Ms. Griffin describes the space as “easy” since everything is designed with a variety of purposes in mind, including spaces that showcase her large artwork but also adequate storage. The property, inside and out, is well kept and pure.